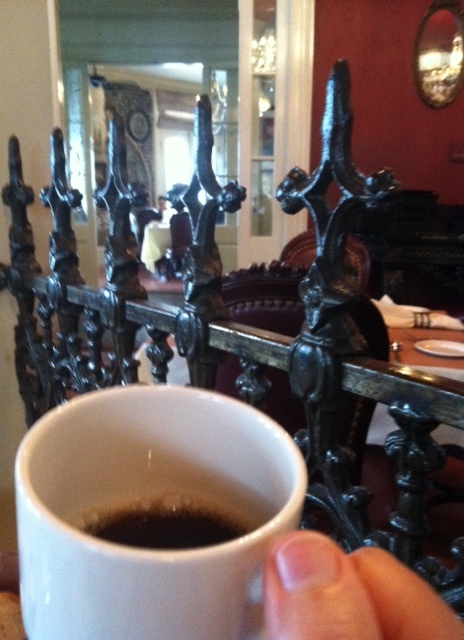 My first cup of coffee in New Orleans at Muriel’s restaurant. I enjoyed every second of this meal. Several weeks ago, I went on a trip and brought a book with me. I had planned on reading it slowly, methodically and regularly. I truly love the thoughts of Thomas Troward but have always found his writing to be somewhat difficult, so I thought that the trip would be the perfect opportunity to focus on this one book which is packed with deep and profound spiritual wisdom. Every day I’d unpack my backpack and put the book next to my computer. For several days in a row, I tried to read it, tried to stay “on schedule”, and it was like pulling teeth. It did not flow. I barely comprehended his words. By about the 4th day, I realized that my plan was torturing me. I’d look at the book and think, “You are not even sticking to your plan. You are undisciplined. You had a beautiful opportunity and you are wasting it.” I didn’t really notice these thoughts until they got louder and louder, and I noticed that I felt worse and worse when I saw the book. I finally decided to let my plan go. I noticed that I felt better. Along the trip I’d picked up a copy of the book, How Starbucks Saved My Life. I couldn’t put it down. The simple, humble, sometimes painful, sometimes humorous, tale of this man’s life swept me along. It helped me to become more light-hearted and more present to those around me too because it talked about respecting each other. I realized that I had made a goal, at the beginning of the trip, that I could feel good about. I could say I’d accomplished something difficult, I’d learned something, I’d advanced spiritually. And I could have wasted it. I could have wasted it by sticking to a rigid plan when clearly it wasn’t speaking to the deeper part of me. I could have wasted it by feeling guilty and ashamed of myself and as a result been an unpleasant companion to my family and everyone else I met. I could have wasted it by being so wrapped up in myself that I didn’t have time to think good thoughts and prayers about others or notice their needs and try to help them. Who do I want to be? I can answer that question by asking who I like to be around. I want to be easy, open, available, relaxed and kind. I want to enjoy life and share that joy with others. I want to be aware of goodness, aware of what is going right. I want to notice the world around me and respond in a loving way. What could be a better plan than this? If you have a plan that is torturing you, maybe it’s time to re-think it. Imagine that someone you love was telling you that it was their plan (and how they were struggling with it) and listen to the words that you would tell them. Dear Mary, I love today’s refreshing post! I too struggle sometimes with the “should’s” in my life and become so wrapped up in what I think I ought to be doing in order to follow my plan, my goals, my ‘must do’s’. Thanks for the reminder this morning to allow each moment in my life to show me the way and to continue to keep my plans and goals, but to flow with what’s happening right in front of me too! I agree with Janette. And often I will ask myself, or ask someone who has asked for my advice, “how will you wish you had handled this situation after it’s all over? How would the person you want to be have responded?” That seems to loosen the grip of ‘should.’ Self-discipline can be a fabulous tool to help me finish something worthwhile that I’ve started, but it can also be the ‘tough school master’ that keeps me doing something I should have given up long before. Mary, I love that you used a quote from the very author you let go, and I love that your photo is at Muriel’s. I’ve never been there, but it was my mom’s name and just seeing it in print brought a smile to my face. Thanks so much. A dear friend and I share the love of history and she was just in awe of a recommended book that I have been struggling with for weeks and weeks. I have let my brain ponder the idea to abort but felt that I should persevere for her. I read your blog this morning with my mouth wide open with an ‘ah ha’ slowly escaping. Will I act upon it as you suggest is the question. Because I still have that whisper telling me I must complete the task, cross it off the the list and maybe it is just not the right time to pursue and re-approach it at a later date. Oh man, I have it bad!! Thanks for the food for thought, my dear. Have a wonderful day. Once again, I feel like you have written this post just for me! I do this all the time, and I also find myself trying to be like people I admire, which makes me feel inadequate because I always fall short. You’ve given me a new perspective that encourages me to relax, be myself, and if I want to try to be like somebody, I’ll try to be like someone I enjoy being around because they make me smile! So, did you write this for me??? Me, with my “to do” lists; my spiritual books to be read, my podcast to listen to; my class to attend; etc. etc. The tenseness that is produced by my thinking and preoccupation can be felt, not only by me – but by those around me. Time to just be ME and live my life. Thanks for the reminder. Oh, boy! Reading this was like looking into a mirror reflection. And I didn’t like what I saw—because the truth of it was so glaring! I can’t tell you how many times I’ve tortured myself to finish a book I thought was GOOD for me. How amazing how you’ve managed to dovetail that simple lesson into the broader context of our lives. Mary, your insight is beyond 20/20! Beautiful , Mary ! Thank you . What great thoughts to take into the weekend. Thank you Mary. Perfect. I need to read this post once a week! Mary, I borrowed a book from someone that I thought would be an excellent read. I was so disappointed that it didn’t grab me and wasn’t what I thought it would be about, that I decided not to torture myself by reading it just because I planned on reading it. I returned it with the message that “I would rather have a root canal without Novocaine than read this book!” I felt so much better when I let myself off the hook and valued my ability to do this and not worry what the person thought. She actually laughed. Your writings always have meaning. Thank you. Well, this one was written for me too. I’ve let the book lay there, barely touched, feeling guilty at not giving it a chance but realizing that right now just isn’t the time. So I just remind myself–I’ll get to it when I’m ready–and wave the guilt aside. While I appreciate the structure of a “plan” for what I need to do, in my later years I am still working at letting it go when I need that more. It’s like a balancing act that keeps me aware that I’m still a work in process. Can you please tell us how your bike ride for FL to NOLA went? Anxious to hear about it. You inspired me to sign up for a ride across Iowa. Thanks so much! I was the driver on the trip, and my brother and niece did the bike ride. …my brother is biking across the country (in 500 mile segments…one every year.) 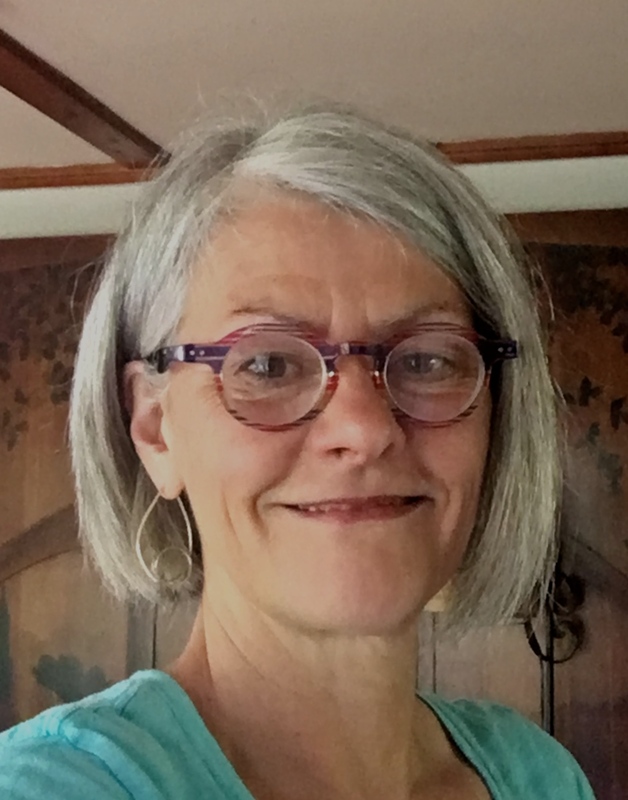 Biking isn’t really my thing, but how wonderful that you are going to ride across Iowa, Pam! You know, we really don’t have control over what our life’s plan will be or often is. We do have control over our choices. Personally, I need a goal, I need to be focused, I need structure but when things go beyond my control I try to remember that there is a higher power somewhere that has placed me where I am today and placed my life’s experiences on my path of life. It hasn’t always been good or positive and sometimes very, very painful but from each experience there is something to be learned and to think that you’re going to get up in the morning with your day all planned is tilting your sails to a capricious wind. Sometimes, it’s good to shift gears. You never know what experiences you might have. It is early evening and I’ve fed the dogs and myself and waiting for my husband to come home. Thought I’d catch up on my email and read you post. So glad I did! Thank you for your thoughts on this nagging voice that seems to populate our heads! Every time I go on vacation or any trip I manage to sneak in several instructional magazines/newsletters and a book or two to read. They are “should be reads” and I always feel bad if I don’t get through at least one! No more :):). Thank you! Exactly what I needed to hear. As always.